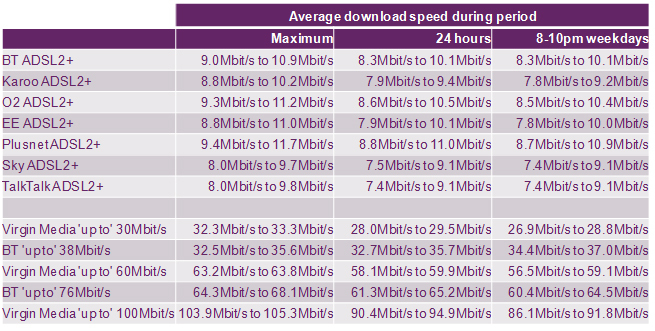 All of the UK’s largest ISPs are signatories to Ofcom's Voluntary Code of Practice (PDF, 104.1 KB) on broadband speeds. Ofcom is conducting mystery shopping research to check ISPs' compliance with the code this year. For further information about Ofcom please visit: www.ofcom.org.uk.